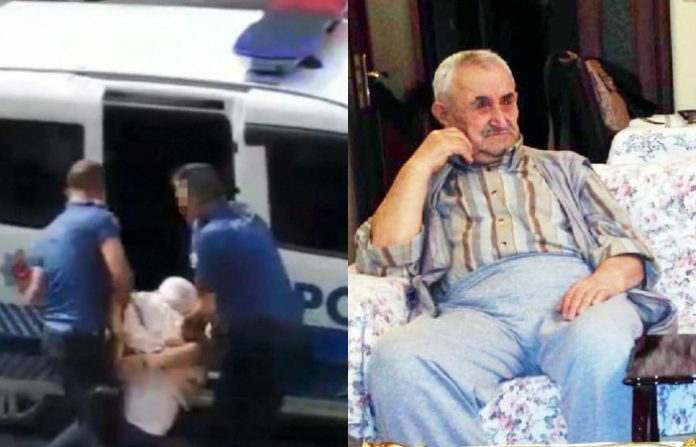 Eighty-two-year-old Yusuf Topal died from a heart attack on Saturday while police were trying to take him into custody in Giresun, the Diken news website reported. “He gave us problems. We are the real victims here,” police officers said on Sunday during a debriefing on the incident. Topal went to a doctor’s office to renew his disabled wife’s prescription, presenting her medical report; however, the doctor refused to renew the prescription without seeing the patient. After Topal explained his wife’s condition and demanded that he come to their home, the doctor insisted there was nothing more he could do, which resulted in a heated discussion, leading the doctor to call the police. Police officers dragged Topal on the ground, hit him in the head, used pepper spray and handcuffed him from behind after he refused to get in the police car, according to video footage. After Topal collapsed, the police took him to a hospital, where was pronounced dead. Interior Minister Süleyman Soylu called the Topal family to offer his condolences, promising the incident would be thoroughly investigated. In addition to the suspension of the police officers, an investigation has been launched into the doctor over his refusal to provide home care. Other complaints against the same doctor due to negligence in delivering patient care have reportedly been filed.